Thanks, Joseph — thanks for being honest, open and true…. your story inspired so many…. 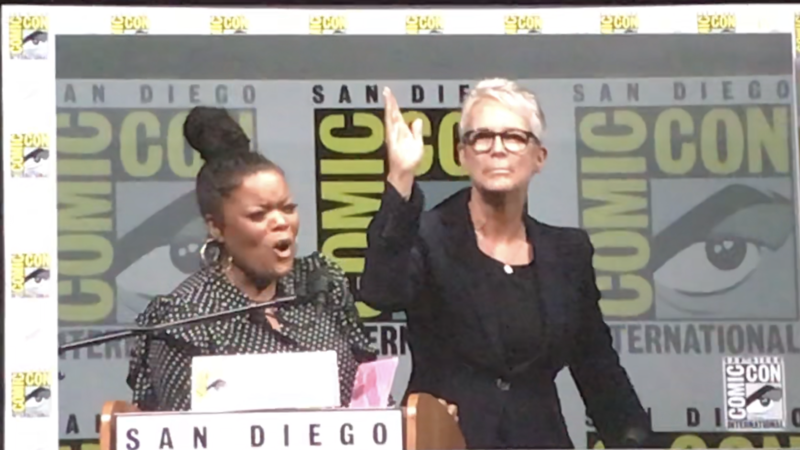 and it was HONESTLY the best moment of Comic-Con this year. THANK YOU for sharing. Hi my name is Joseph Scott. I’m the man in the video. With Jamie Lee Curtis. To be able to say thank you to someone that inspired you to do the right thing in your life was amazing. What a lot of people don’t know is what happened The next two hours after my encounter with Jamie. I was surrounded by so many people who hugged me, high-five for me , shook my hand,. But what blew me away is how many men came up to me and told me that they had been raped, they have been molested, they had been assaulted, Them selves. It’s amazing what a simple think you can do.